It is so easy to over plant winter squash, especially a variety like butternut. Those butternut squash vines produce like crazy. You can easily end up with 30 mature squash and still have some little green ones coming on. I share some of my favorite ideas in the video above. If you have an abundance of butternut squash, enjoy them green as well as fully ripe. Here are some of our favorite ways to use them. Watch those little green butternut squash carefully. Pick them while still green and while the skin is still tender. 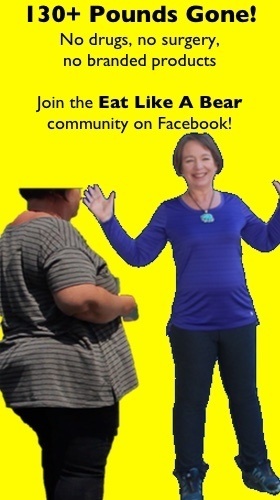 If the skin is already getting tough then you will want to peel the squash before proceeding with the next steps. Slice the butternut into 1/2 inch rounds. Dip the rounds into beaten egg mixed with a bit of water. Dredge through some seasoned bread crumbs. Either fry in oil or bake on an oiled cookie sheet at 350 degrees. Serve as a snack or the vegetable addition to a meal. 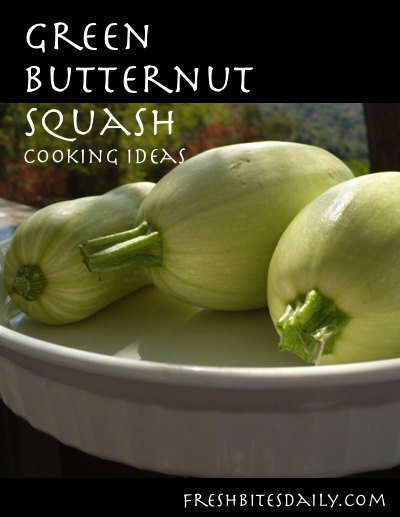 Another idea for butternut squash that just passed the tender green stage. Technically the squash is still immature but beginning to develop a bit of orange color in the flesh. Cut the squash in half and scoop out the newly developing seeds. These can be tough even though they appear quite innocent. Cut the halves in half to produce 4 quarters of butternut. Now make 1/4 inch slices and fry in butter or olive oil. Add salt and pepper, not too much. You can add more when the dish is finished. But salt and pepper added at the beginning of the cooking process yields a more interesting flavor in your butternut squash. Stir every few minutes and check for burning. Turn the heat as low as possible if burning seems imminent. The cooking time will depend on the age of the butternut when you picked it – the older the squash, the more cook time required. Fry with minced garlic and chopped onion. Season with basil, parsley, lemon thyme – together or just one of them. Chop the butternut squash into smaller pieces for quicker cooking. The flavor you get with this dish is rich, sweet and satisfying. Cut in half and clean out the seed cavity. Slice the butternut into 1/2 inch slices. Toss the slices with olive oil, basil and garlic salt. Lay out the squash slices on an oiled cookie sheet. No overlapping. Give its slice its own space. Bake in a 350 degree oven until tender. This could take 30 minutes. About 15 minutes into the cook time flip the slices over. When the butternut squash is ready the slices will be just starting to brown. This makes a great starch addition to a meal and a welcome change to potatoes or rice. This idea is for the really green and tender butternuts. Wash, dry and slice the squash into 1/4 inch rounds. Pat them dry with a paper towel and dust with a bit of flour. Dip into chilled tempura batter and fry in hot peanut oil. The amount of time in the oil will depend on the maturity of the squash. The squash should be really new and tender so the cook time is short. Taste test your first squash out of the pot and make the cooking time adjustments accordingly. Tempura is a study of its own. If you love it, study it! Your time investment will be well rewarded.